If you think it is possible that you are pregnant, most probably you are looking for the best home pregnancy test to confirm it. Although there is no just one best test, there are some brands that are worth to be tried. Naturally they might not work out for you as well as they did for other women. There were a lot of people interested in the best tests and so the specialists compared the available ones. It looks like the best one turned out to be the First Response pregnancy test. This is considered to be the most accurate because it is able to detect hCG levels as low as 6.5 mIU/ml. 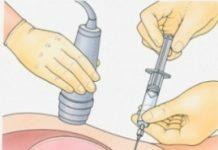 This test became the best pregnancy home kit because its sensitivity is able to detect a pregnancy almost right after implantation. The majority of the other kits tested weren’t nearly as sensitive and they could only detect 100 mIU/ml. Nonetheless when the specialists waited long enough, the kits turned out to be more accurate than the manufacturer claimed them to be. The kits that were tested to find the best home kit for pregnancy were claimed to be easy to use. First Response, ClearBlue Easy and Answer Quick & Simple produced lines that had a more intense color even at lower concentrations, making them easier to read. In the end the pregnancy test for home that is the best turned out to be First Response with an ‘excellent’ rating. You can buy this test for $18. The poorest kit turned out to be Confirm’s Pregnancy test that costs $12. In this case some of the samples didn’t work as they were supposed to. When it comes to the home pregnancy kit that is the best, you must remember that even the best kits have their limitations. Testing for hCG levels isn’t the same in case of every women. For instance in about 10% of the cases the embryo doesn’t get implanted until after the first missed period. Before implantation not even the most accurate home pregnancy tests work. This is because there is no hormone present that the test can measure. If the embryo is already implanted, there is no guarantee that enough hCG is produced for the test to detect it. You will have to wait for a while before you get accurate results. In some cases the accuracy of the tests improves with time. It is possible that you will get a more accurate result if you read the results after 10 minutes. However, if you wait too long, the negative results may be too faint and you may mistake them for a positive result. 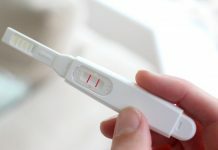 In the same time you also have to consider when looking for the top home pregnancy test that in many cases there is a miscarriage during the early stages of pregnancy that could lead to misleading results. Now you know the truth about the accuracy of home pregnancy tests. This might make your decision easier.